For youth, a book can be a metaphorical shield—stories can carry them to faraway places, protecting them from outside forces. For queer youth who may be fighting real-world demons of their own, this resonates even more. That’s why Glad Day Bookshop has geared up to build a library for Sprott House, Canada’s first LGBTQ youth transitional home located in the Annex. So far, about 300 books have been donated by Torontonians—and another 100 are expected before the donation deadline of February 15. The bookstore provided about 80 books—worth $800—itself. 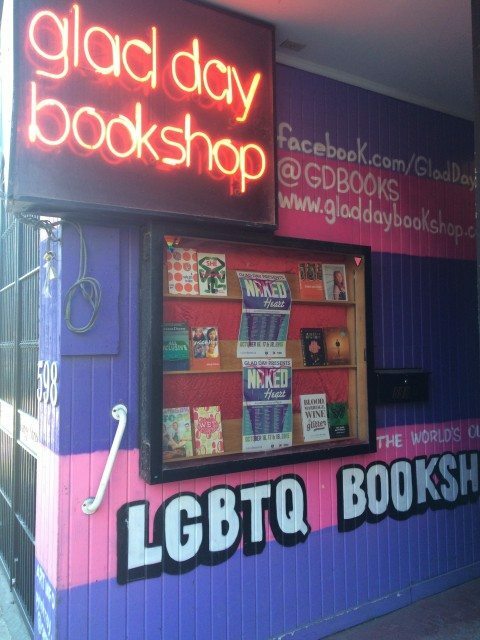 Established in 1970, Glad Day Bookshop is the world’s oldest LGBTQ bookstore. Arsenal Pulp Press and Playwrights Canada Press have also donated a copy of each of their queer titles from the past two years. The Sprott House library will provide a diverse collection of literature for LGBTQ youth of all ages and backgrounds. Erickson says books will come in a variety of reading levels and by a range of authors. Many donors, he adds, have intentionally chosen books by writers of colour and trans authors. “Everyone wants the one book that mattered to them to get out there,” he says. Sprott House opens in February after a decade of lobbying by Toronto queer activists. A second 29-bed LGBTQ shelter will open later this year; duplicates of donated books will be sent to this shelter.